Let’s start with a few non-beer related activities. Go Karting – get a few mates together and go Go Karting! You’ll have to drive or get a taxi to Frankton, but who doesn’t like go karting? Cinema – Always a good option when you don’t feel like drinking, head to the cinema! Go on ‘Terrific Tuesday’ (every week) when an adult ticket is $12.50 rather than the usual $16.70. Reading Cinemas is located in the Mall. The World Bar is probably most famous for serving cocktails in teapots but they also serve a variety of craft beers as well as the usual drinks you get in bars. There are DJ’s or live bands every night of the week, you’re pretty much guaranteed a good night here. What you might not be aware of is how good their food is. If you get a chance try their chicken and waffles; sounds disgusting, tastes amazing. 12 Church Lane. Monday – Sunday 10am to late. A relaxed gourmet pizza place by day, with live music, DJ’s and more at night. Every night of the week there is something fun going on from Old School Tunes to Aussie Nights and “Tight Arse Tuesdays”. 7 – 9 The Mall. Monday – Sunday 12 noon to late. Searle Lane has a really nice feel to it, probably helped by the cosy, roaring fire. Open until 4am on Saturday nights, Searle Lane is a good place for dancing. It’s also really good for rotisserie chicken and massive pizza! 15 Church Street. Monday – Sunday 12 noon to late. This is a particularly good bar to visit during summer when you can take advantage of their huge sundeck whilst listening to live music. The views aren’t bad either. 1876 occupies the Old Courthouse building making it one of Queenstown’s most historic buildings. They have great daily specials and it’s the perfect place to start your evening. 45 Ballarat Street. Monday – Sunday 12 noon to 3am. More of a locals pub than a bar, this is the place to come for a few quiet beers. You know, somewhere where you can actually hear your friends speak! If you’re British then this pub will make you feel like you’re back at home, well they do call it Queenstown’s original English pub. A nice relaxed place that offers live music. It’s a really nice building too. 41 Ballarat Street. Monday – Sunday 11pm to 2am. With plenty of professional pool tables available and 7 flat screen TV’s this is the place to come to to catch up on your international sports. There’s a fire to warm up beside and comfy seating to eat some pizza on. A good sports bar, if you like that sort of thing. It’s only a short walk from the very centre of town. 8 Brecon St. Monday – Sunday 12 noon to 2.30am. As you’ve seen above, many of the bars in Queenstown open until late, therefore many of them could probably be described as clubs as well as pubs. Listed below however are the places which only open at night. If the name of this place hasn’t given it away yet, this is a themed bar, complete with saddles for bar stools and its very own bucking bronco! Get your cowboy boots on and singalong to some quality country music while drinking bourbon or whiskey! This place is fun, but often very busy, so you might have to queue to get in! 7 Searle Lane. Monday – Sunday 3pm to 4am. Zephyr is awesome for live music. Classic hits are covered in live jam sessions by local bands. Whether you’re into soul, punk, rock or even jazz you’re going to love this bar. Searle Lane. Monday – Sunday 8pm to 4am. 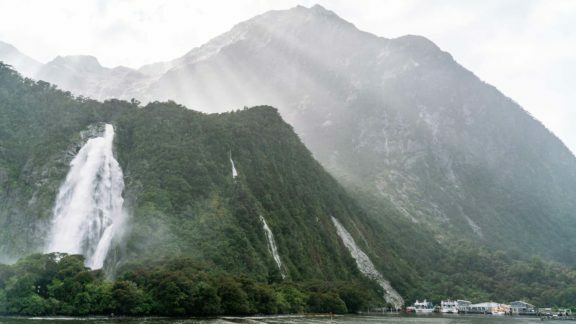 Located at Base Queenstown, Loco is a classic backpacker bar. Offering good food and drink deals, DJ’s and live music acoustic sessions as well as the opportunity to win great prizes by taking part in a few silly competitions. 47-49 Shotover St. Monday – Sunday 4pm – 4am. Another great venue with awesome DJ’s spinning tunes late into the night. There’s a great vibe here helped by the fact it’s an underground bar. There are also plenty of drink specials to help get you in the mood for dancing. 128 Church Street. Monday – Sunday 8pm to 4am. This is a themed bar found hidden away in a basement. The decor has a real alpine ski resort feel, with lots of handcrafted features, logs and even some vintage skis. They do have ski and snowboard storage available so this is a great place to come after a day on the slopes. Also a great place to meet ski instructors. Make sure to have an eggnog shooter! 6 Cow Lane. Monday – Sunday 7pm to 4am. It’s very easy to stay at Bungalow from when they open until they close. Start your evening off playing a few classic board games with your mates, or have a meal on their balcony as the sun goes down, or inside by the fire if it’s chilly. As the evening wears on see it transform into an awesome club with DJ’s really getting the party started. 26 Camp Street. Monday – Sunday 5pm to 4am. 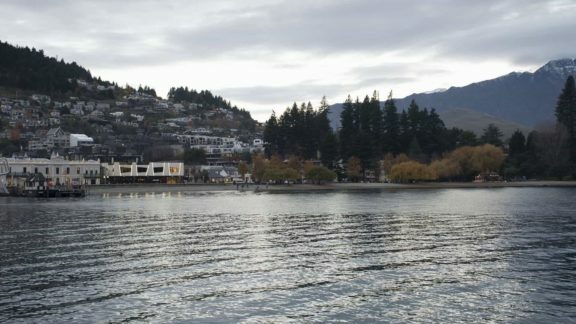 Queenstown has not one but two ice bars. 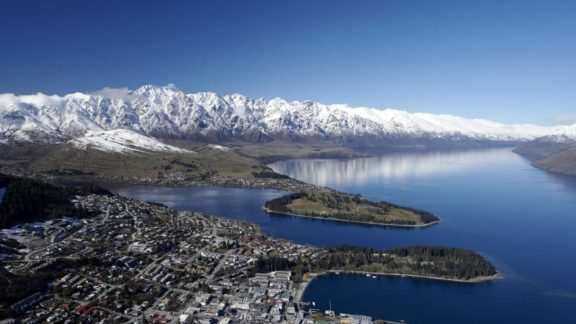 Possibly not that surprising considering Queenstown is a ski resort. 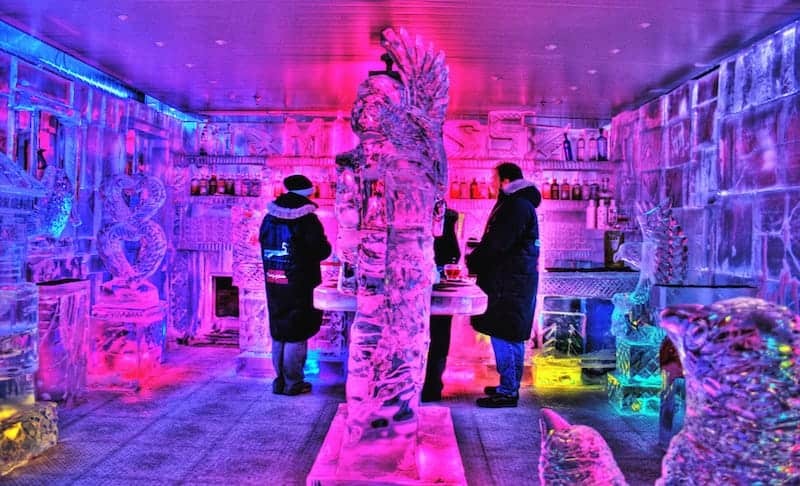 Both bars offer furniture and sculptures made out of ice and your drinks will be served in ice glasses too. Don’t worry, you won’t get too cold, they provide warm clothing and there’s a time limit on how long you can stay in the ice bar itself. Minus 5° – from $20 per person (no drinks included). Beach Street, Steamer Wharf. Monday to Sunday Midday to Midnight. Below Zero – from $20 per person (no drinks included). Searle Lane. Monday to Sunday 2pm to Midnight. 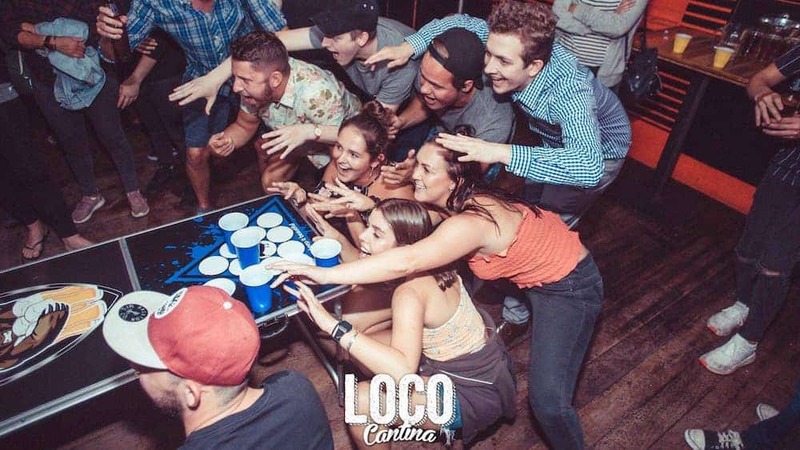 If you’ve just arrived into town and haven’t yet met anybody a bar crawl is a fantastic way to get to know other backpackers. It’s also a really good way of seeing a few bars in Queenstown without having to queue too long to get in! Included in the price of your ticket is some food as well as a few other treats. Running Tuesday to Saturday nights, Big Night Out takes you to various pubs and clubs in town. Each night offers something slightly different (UV paint, entry into an Ice Bar etc), as well as discounted drinks, food, VIP entry into the pubs and clubs and also the opportunity to play silly games and win big prizes! From $30. Kiwi Crawl offers something slightly different. As well as a standard bar crawl you might choose to go on their “Creepy Crawl” which includes entry into Fear Factory! Or go on a party cruise on the lake! 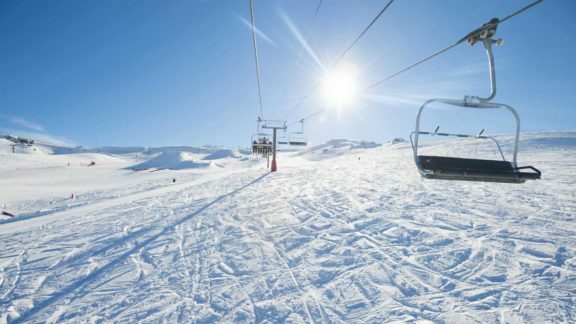 Discounted drinks, food, treats and more all available as well as the chance to win prizes from some of Queenstown’s best adventure activities. From $25. For both Bar Crawl companies keep your eyes peeled for specials and themed nights. Hopefully we’ve given you lot’s of ideas for what to do at night in Queenstown. One thing is for sure, it’s very hard to get bored in this town! All information is correct to the best of our knowledge as of March 2018. Please contact the companies directly for up to date opening times, prices, menus and events.